Alcoa, Inc the largest producer in the U.S. of aluminum reported quarterly earnings that beat forecasts after its smelting sector returned to be profitable and results were better at one of its units that makes aerospace and auto parts. Net income for the third quarter excluding costs of plant closings and other items that were one-time was 11 cents per share. Alcoa, based in New York, said its engineered products business, which supplies the aerospace industry like Airbus and Boeing, saw operating income after tax increase by 22% to end the quarter at $192 million, while a profit of $8 million was earned by its primary metals sector. The downstream divisions of Alcoa, the ones that make forged, rolled or extruded products of aluminum have helped to account for a growing proportion of Alcoa’s revenue during the last year. They have been the focus of CEO and Chairman Klaus Kleinfeld’s efforts to reorient the company to capitalize on the increasing demand for components that are high-tech in the latest commercial aircraft and cars. The latest quarterly earnings were released after regular trading had ended on Tuesday in New York. 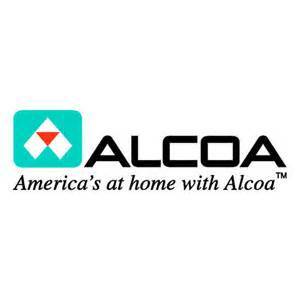 Shares of Alcoa were up by 1.5% Tuesday night, after they had been made public. For the quarter, net income finished at 2 cents per share, compared to a loss of 13 cents per share one year ago. Sales dropped from $5.83 billion to $5.77 billion beating an average estimate of $5.63 billion. Alcoa is typically the first company in the U.S. to report its quarterly earnings. In September, it was taken off the Dow Jones Industrial Average after 44 years. As well as a drop of 8.5% in its price per share during 2013, the credit rating for Alcoa was cut by Moody’s Investors Service to junk status in May.